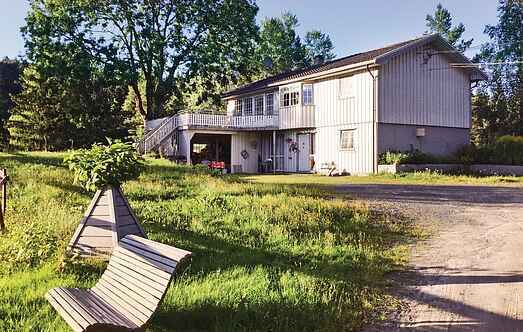 Find a vacation home to rent in Tvedestrand Municipality from our list of vacation rental properties. Campaya has over 12 vacation homes available in Tvedestrand Municipality, which give you the possibility to locate a unique accommodation in Tvedestrand Municipality which completes your check-list in search for the perfect self catering vacation apartments in Tvedestrand Municipality or vacation villas in Tvedestrand Municipality. Beautifully placed in the middle of the forest, you find this charming vacation house. The house is close to a water. This water invites to good fishing- and swimmingopportunities. Welcome to this cozy cabin, situated on the top of a housing estate in Dypvåg. The cabin is a traditionally tiled log cabin with a nice view of the fjord. Nice holiday home close to Lyngørfjorden. The holiday home is suitable for two families. Apartment (ground floor), east facing, with large, sunny terrace, great view over the fjord, and common garden. Fishing & boat centre, marina & piers. Apartment (ground floor), west facing, with large, sunny terrace, great view over the fjord, and common garden. Fishing & boat centre, marina & piers. Welcome to this great holiday house in Tvedestrand. Welcome to a wonderful holiday apartment on the second floor of a residential building with four apartments. Welcome to this bright and beautiful holiday home with a fabulous view. Here you can enjoy the sun and look at the water. Or jump to cool the water. Also well suited for fishing. Cozy cottage in Dypvåg in the municipality Tvedestrand. The concern consists of main house and outbuildings. Great views as soon as you come up from the parking area to the house. Apartment (1st floor), east facing, with large, sunny terrace, great view over the fjord, and common garden. Fishing & boat centre, marina & piers. Welcome to this cozy holiday apartment. Pets are welcome. Stay on the top floor of a wooden house in middle of Tvedestrand. A comfortable living room and a big terrace.